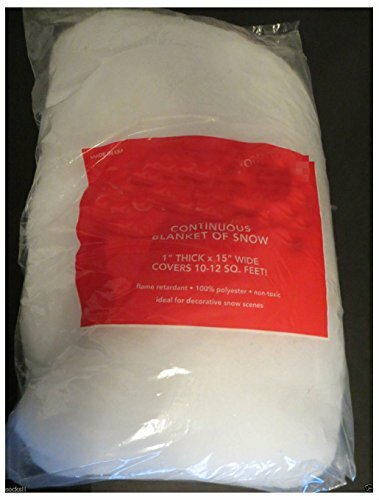 Each blanket is 1" Thick and 15" wide and covers 10-12 square feet. It has plastic pieces that sparkle in it. These pieces fall off so be careful when opening the bag or if you have children or pets in the area.